WARNING: THIS GAME IS IN EARLY ACCESS. PLEASE DO NOT PURCHASE IT UNLESS YOU WANT TO ACTIVELY SUPPORT DEVELOPMENT OF THE GAME AND ARE PREPARED TO HANDLE SERIOUS ISSUES AND INCOMPLETE CONTENT. Shroud of the Avatar: Forsaken Virtues is a new type of third person fantasy RPG that combines a single player narrative with a sandbox MMO. It is being created by a team that includes:Richard “Lord British” Garriott the creator of the Ultima series, Starr Long the original Director of Ultima Online, and Tracy Hickman the author of the beloved Dragonlance Novels and Dungeons & Dragons modules. Selective Multiplayer Modes: If you want to go through the story online you can play with everyone in a single world with three different online modes (Single Player, Friends Only, and Open). Offline Mode: Players will adventure through over 40 hours of story in an interactive world where their choices have consequences, ethical paradoxes give them pause, and they play a vital part in weaving their own story into the immersive world and lore surrounding them. Classless Character System: Vast customization options with hundreds of skills and spells in over 20 different skill trees. Skillful Combat: A new way to prepare and fight in an RPG by building custom decks of skills and dynamically activating them in combat. PVP: Consensual with Open PVP flags, zones, and Guild Warfare. Player Housing: Non instanced, finite, and embedded in the world with multiple group living options. Player Driven Economy: Deep crafting system where the best items are made by players and player items are the main source of loot found in the game. Pay Once to Play: No subscription fees. Each episode (released approximately annually) is a one time fee and everything in the game can be purchased with in game gold that can be earned (except for some exclusive backer rewards). Social: Full Guild System, Highly Active Community and Player Owned Towns. Crowd Sourced & Funded: Support the project by contributing content (and receive compensation) or by pledging (and receive exclusive rewards). Open Development: Players help shape the game by giving feedback on monthly early access releases, videos, weekly updates, blog postings, forums, chat, etc. 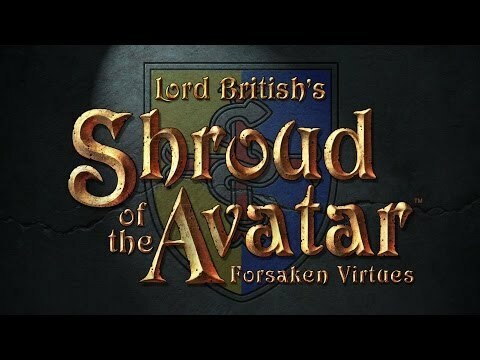 Episodic Content: Shroud of the Avatar will consist of five episodes that will tell a series of virtue based stories created by Richard Garriott and Tracy Hickman. All supported by a series of prequel novels starting with The Sword of Midras (available now on Amazon). At Midnight CDT (5:00 UTC) on August 22, 2016, we are expiring ALL remaining pledges, including: Adventurer, Founder, Royal Artisan, Explorer, Ancestor, Edelmann, Knight Marshal, Lord Marshal, Duke, and Lord of the Manor 2. To commemorate the final expiration of all remaining pledges, we are holding a 12-hour Summer Telethon Part 2, starting at 12:00 pm CDT (17:00 UTC) and running right up to the Final Pledge Expirations at Midnight CDT (5:00 UTC). Get Your 15% Summer Bonus Now! In order to give our backers the opportunity to upgrade their pledges once they’ve experienced the game post-wipe (see Final Wipe and Lot Selection milestone), we have decided to split the Summer 2016 Expiration Event into Two Parts! Like no other world-ending event in the history of gaming, the first part of The Summer Telethon of the Avatar event is nearly upon us! Alienware Arena has teamed up with Shroud of the Avatar (SotA) to provide both current and new SotA backers with a free $20 pledge upgrade. By using THIS LINK and logging in with your existing account or registering a new one you'll receive a $20 pledge bonus for Shroud of the Avatar. To learn more about the different pledge levels, check out SotA's pledges page:https://www.shroudoftheavatar.com/?page_id=35139 Also, make sure to join the Shroud of the Avatar group for the latest updates on the game. Is it worth playing now? Or wait for release? When introduce Russian as the language of the company sota-game?